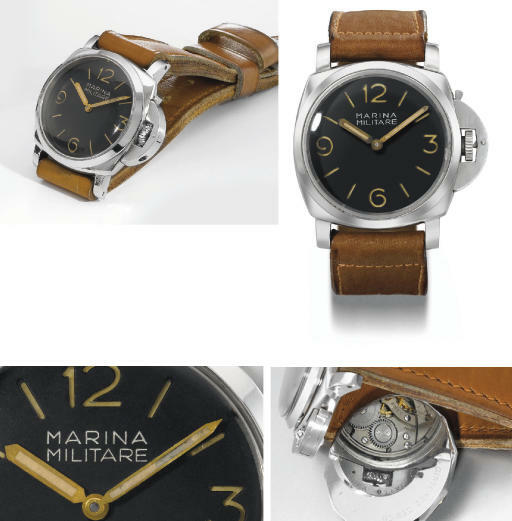 As requested by the Italian Navy, watches supplied to their frogmen, SLC torpedo riders and commandos, such as the present watch, had to bear the designation "Marina Militare" on the dial. The present lot stands out by its overall very good condition, retaining a crisp case and not showing either excessive wear or overpolishing. Consequently, the serial number between the lugs and the finely engraved inscription to the case back are still clearly visible.